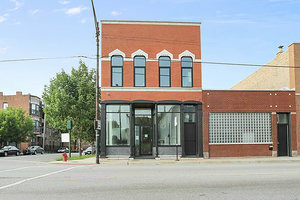 This 1,000 sq ft gallery and event space located in West Town is perfect for Pop-Up Stores, Exhibitions and Events. 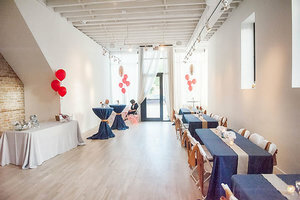 This space has a street level entrance with large display windows which offer good visibility and all natural light to burst into the space creating a well-lit ambience. 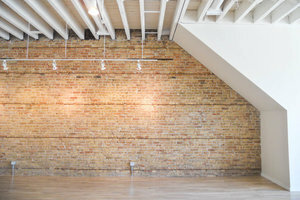 With authentic interiors of exposed brick and white walls, wooden floors and an open plan, this space is perfect for brands and organizations looking for a well-equipped space and a simple operation. This space is easily accessible and benefits from good passing foot and vehicle traffic. 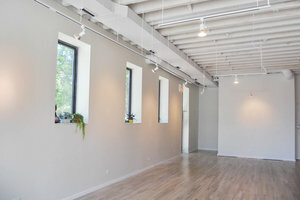 It's a creative space perfect for those looking to create a unique experience.